Did you hear that? That was the sound of the Merlin fandom crying themselves to sleep on the night before Christmas, or in my case half way through Christmas day because we New Zealanders live in the future. A future now filled with endless aching feels. You must allow me the slip into fangirl sob speak. After all we were just treated to the end of a TV show that was supposed to be a light hearted show to watch with the family but turned into a roller-coaster of feels that sucker punched nan in the face. Forgive me I am, I suppose, distressed to say the least. I should finish writing this before distress is replaced by fury. We pick up where the first part let off, in the midst of battle in Camlann, yes where Arthur was prophesied to die at the hand of Mordred. Have I told you how I like the way the fight/battle scenes are filmed/edited? Well I’m telling you now, I love it. The sounds, the way it slowmos some parts and then zeroes in on a stab or a kick, it’s great fun. Also, I love watching Bradley James in fight scenes. So Merlin shows up, in disguise of course, fully charged and ready to dispose of annoying Saxons easily knocking Morgana out after she shouts ‘EMERRRYYYYYSSSS!’ and the battle rages on, everyone aware of the fact that there’s a powerful wizard on the cliff dealing out asswhoopings. And finally we have the Arthur-Mordred fight scene we’d been dreading. There is a moment where Mordred looks down at Arthur after stabbing him (as we’ve seen in the prophecy) and says ‘you gave me no choice’ when you wonder if Arthur had spared Kara’s life, would the outcome have been any different? This doesn’t matter though because in the prophecy Arthur is shown to be mortally wounded but we never see Arthur stand back up and strike back- holding Mordred’s gaze as he kills him. It wasn’t Arthur’s choice, it was well- destiny’s. Merlin’s attempts to change it were for naught but good triumphed here anyhow because of Arthur’s strength even against the harshest adversities. We know that good prevails and isn’t this is a theme that has been a big part of the show from the very beginning? Good triumphs, right beside the theme of good deeds going unrewarded or acknowledged. We’d been waiting for Arthur to know about Merlin’s powers since, since the beginnings of their bromance, which we’ve always viewed as uneven due to Merlin’s treatment despite how much he does. No one, but Gaius or characters that have conveniently died, knew about Merlin’s true worth, and for me it stopped being comical a while back. In fact it began to be slightly irritating, for despite how often Merlin put his life on the line, how often he defeated evil, his involvement was hardly recognized. Not to mention the way Colin Morgan portrayed Merlin’s heartbreak of watching people like him be punished, or having to renounce his own people in order to not be caught was gut-wrenching. So, yes, Merlin finally revealing to Arthur that he was a sorcerer was a huge freakin’ deal and Arthur had all of a few days (TV magicked into about half an hour for us at home) to process this and the only way it was pulled off was due to Bradley’s impeccable acting. Arthur’s anger and betrayal, the hurt and eventual acceptance and gratitude was brilliantly performed. All of the actors were brilliant. Because we felt Gwen’s delight and pride in knowing Merlin was the powerful sorcerer on the cliff and while waiting for word of Arthur we believed she knew he was alive and would have somehow felt it if he’d been lost. 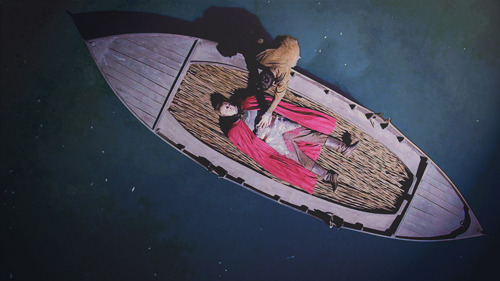 Gwaine, sigh, I suppose plotwise Gwaine’s death is justified in the fact that in order for Camelot to know of Arthur’s death Percival needed to track Morgana to Merlin and Arthur and report back on what he would have witnessed. Percival’s reaction upon finding Gwaine and his expression at the end were well played. Morgana, what started out as a character with so much depth, her death was fairly one dimensional. She died the bad guy but her road there was anything but one dimensional and I fear this post is going on long enough and you’ve probably tuned out so I’m going to wind up now. Jeez I feel a bit like the writers of Merlin, as I started out to give a well-rounded review of the finale, perhaps of the entire series but somewhere along the way I got lost and then I ran out of time (and your attention) and this is what you’re left with. Now, that sounds a bit burn-ish but it isn’t. I genuinely feel like the writer’s gave us something special, perhaps not what we expected, maybe not even what they expected, but the series gave us characters we loved and characters we hated and a world to escape into without feeling too alienated by the fantastical nature of the show. We saw no Golden Age of Albion, in a way Merlin’s destiny did come to pass- wait- WHEN WAS MERLIN TOLD THAT HIS DESTINY WOULD BE TO WATCH HIS BEST FRIEND DIE AND TO OUTLIVE EVERYONE HE’S EVER KNOWN AND LOVED!? WHEN? WHEN!? I don’t remember is all, probably because that’s not what we were told. At all. All I have to say is Doctor Who better be a perk up because I don’t know if my heart can take anymore aching. I don’t know how I will go on. Supernatural was making me insane, Who is in danger, Sherlock is postponed, and Merlin ended with Arthur friggin dying. I am not angry. I am not sad. I am numb. I cannot feel. I am a cyberman. I can’t do this. The numbness is going away…no…No…NO THE PAIN! A hole has been ripped through me…. I know exactly what you mean. Merlin used to be one of the more uncomplicated shows I indulged in, and I completely agree. Supernatural, despite their many gag episodes has always been high in the doom and gloomy angst factor, Doctor Who has also really amped up the angst and Sherlock leaving us with The Reichenbach Fall was perhaps a little unforgivable but understandable as this was based on the books. Merlin, as I understood, was to be a reprieve from such pain, but that reprieve didn’t last long, and despite the darker undertones there was always the notion that good would triumph and a Golden Age was on its way. What the writers did was stab us in the face with a little bit of reality, because it had to end I suppose and unlike Doctor Who sending Rose to another dimension, or Amy and Rory to the past to live out their days without the Doctor who spirals into some sort of depression but can perhaps be saved as he had before, or even Dean ending up in hell despite their best efforts and being pulled out by an angel- Arthur dies and that’s it. Merlin is left to mourn him and eventually everyone else through til the present day. How is that uplifting, let alone fair?